Главная » 2015 » Апрель » 13 » У нас в п-ке именинник ELIZAR AVATAR TIGRASHY OF STAFFLAND BARKHAN - 4 года! 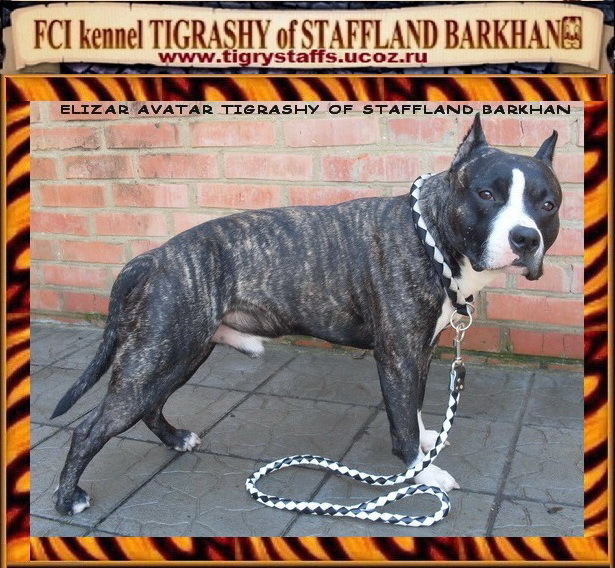 У нас в п-ке именинник ELIZAR AVATAR TIGRASHY OF STAFFLAND BARKHAN - 4 года! 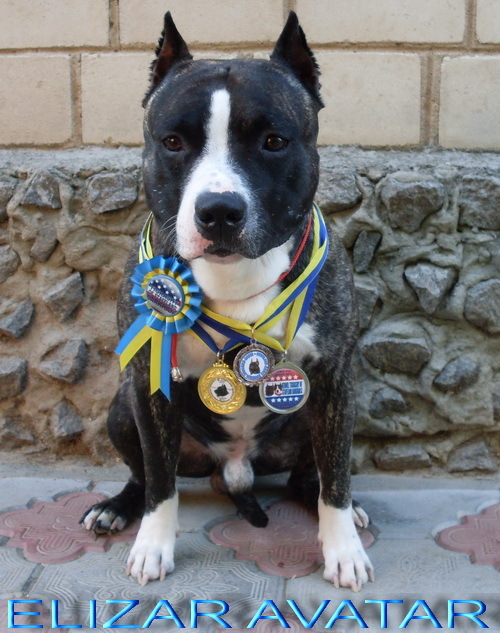 dad. 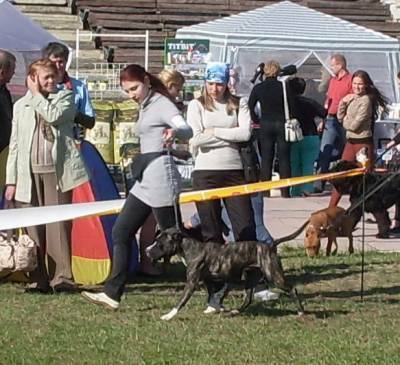 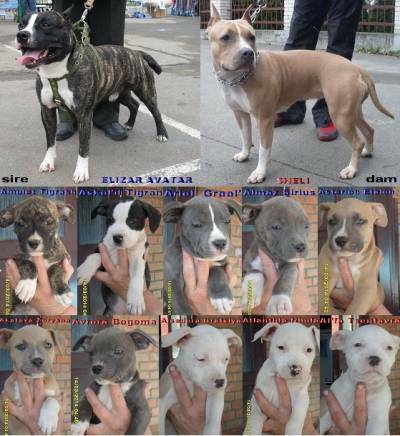 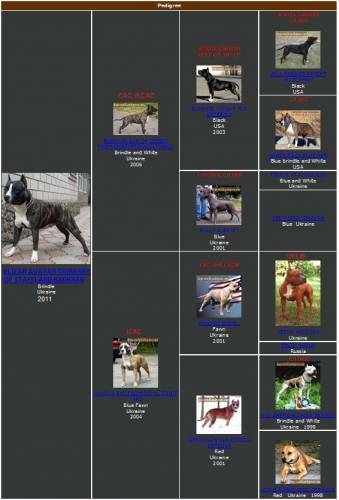 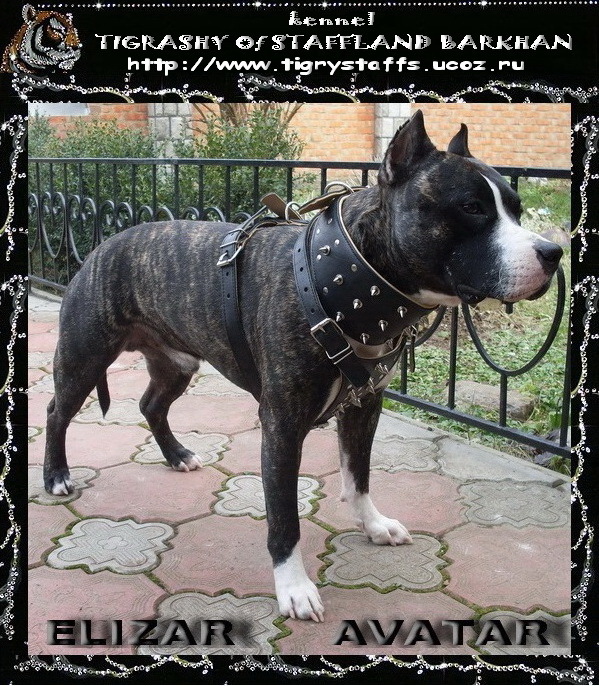 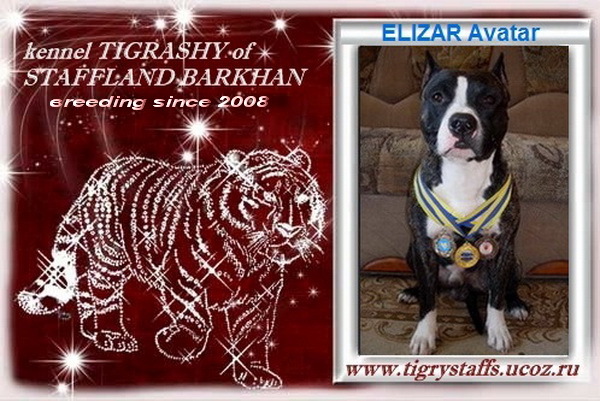 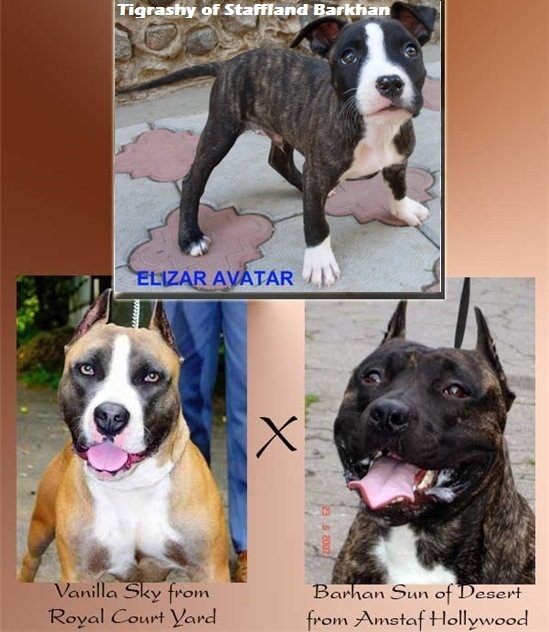 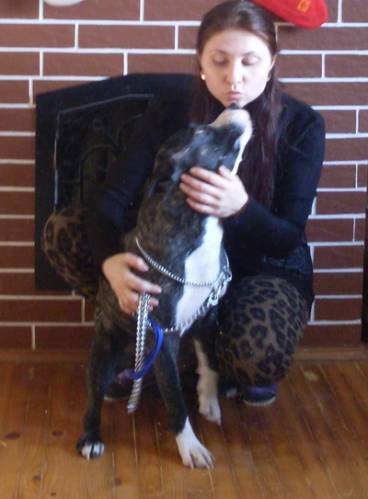 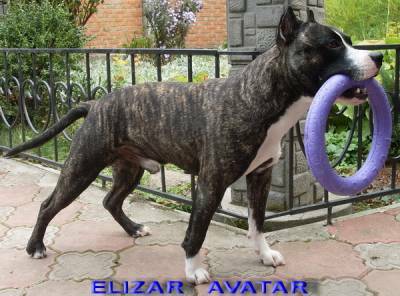 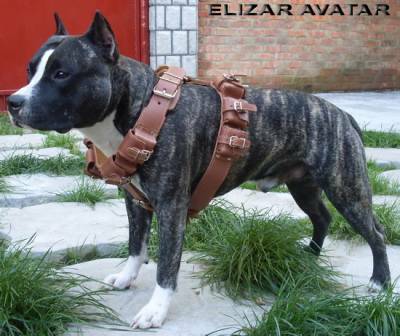 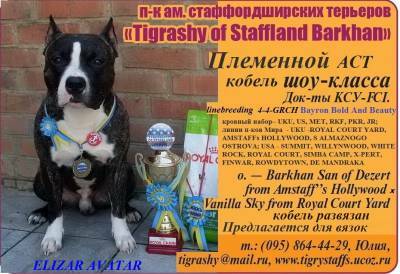 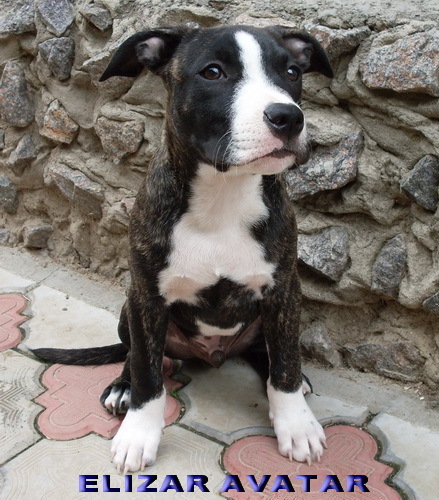 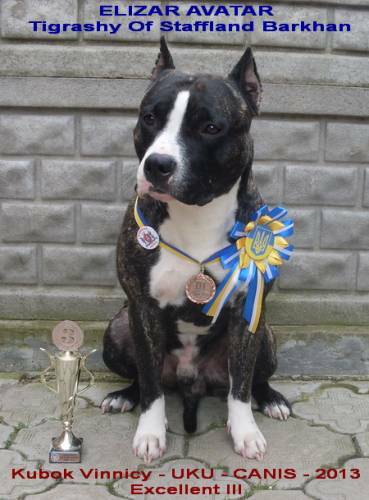 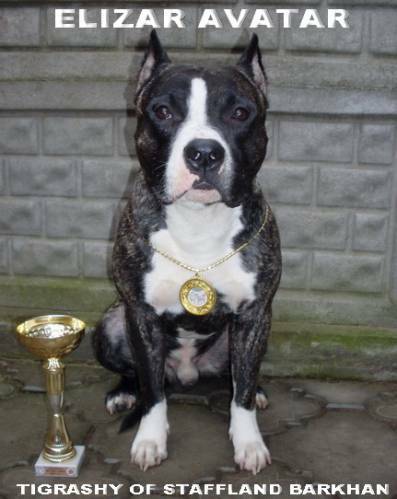 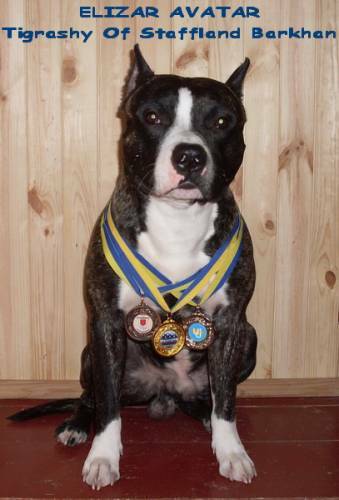 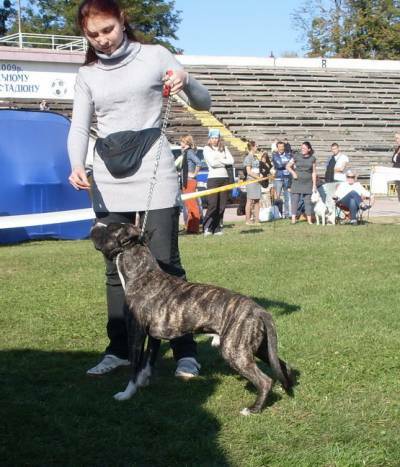 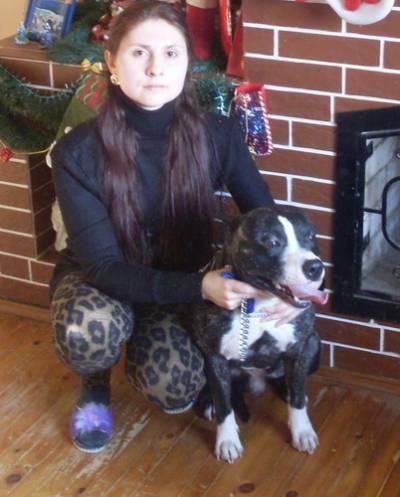 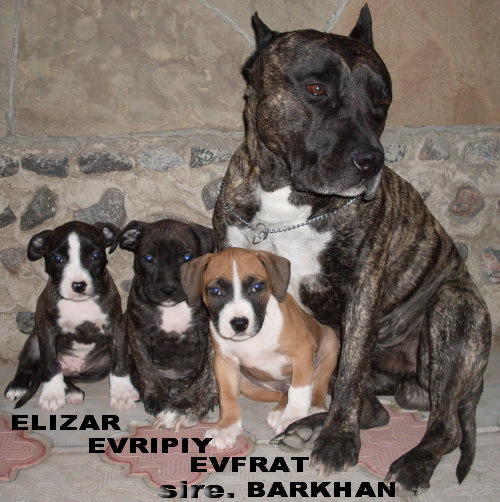 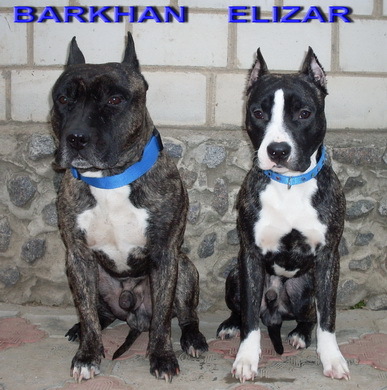 BARKHAN SAN OF DEZERT Fom Amstaff’s Hollywood aka Barhan – prize Nat.CH AST x 1, EXC x 5, CACх3, R.CACх1, ЛКх1, BVet x 1 http://tigrystaffs.ucoz.ru/index/barkhan_san_of_dezert_from_amstaff_s_hollywood/0-124 mam. 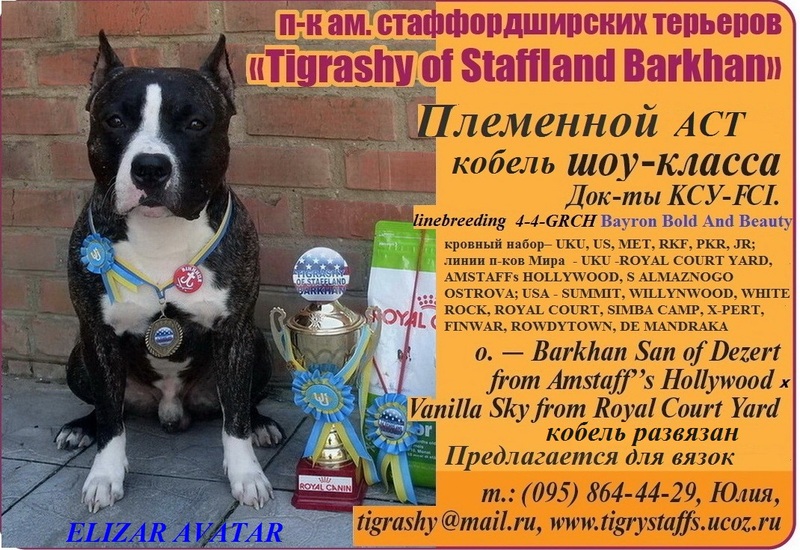 VANILLA SKY From Royal Court Yard aka Sky – EXC – 1, JCAC http://tigrystaffs.ucoz.ru/index/vanilla_sky_co_owner_2011_2013/0-61 Our kennel Tigrashy Of Staffland Barkhan congratulate!!! 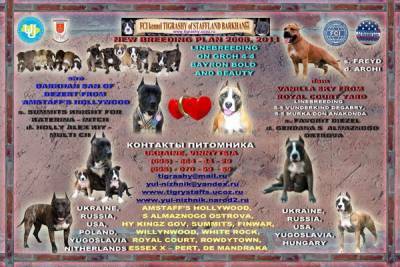 http://tigriyuliya.jimdo.com/ . 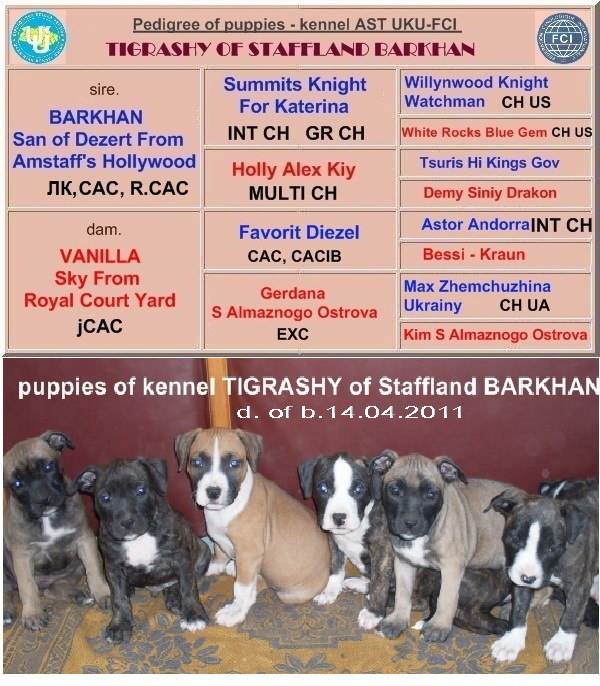 Lots of love from our kennel. 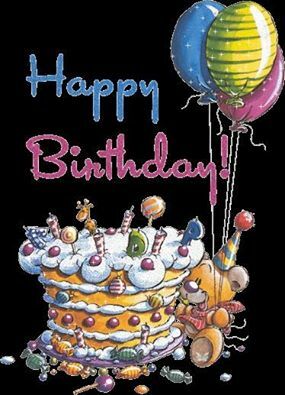 My Best wishes – health and longevity, of many years and good luck.